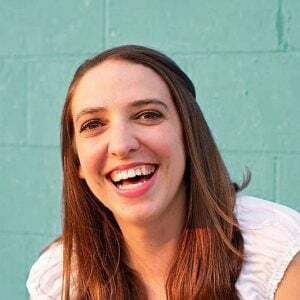 Thanks to Three Bridges for sponsoring this post! 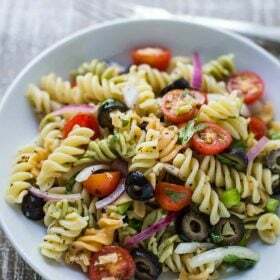 You can learn more about their easy, wholesome, and delicious pastas HERE! Have you made your Christmas menu yet!? Yeah, we’re still working on it too. 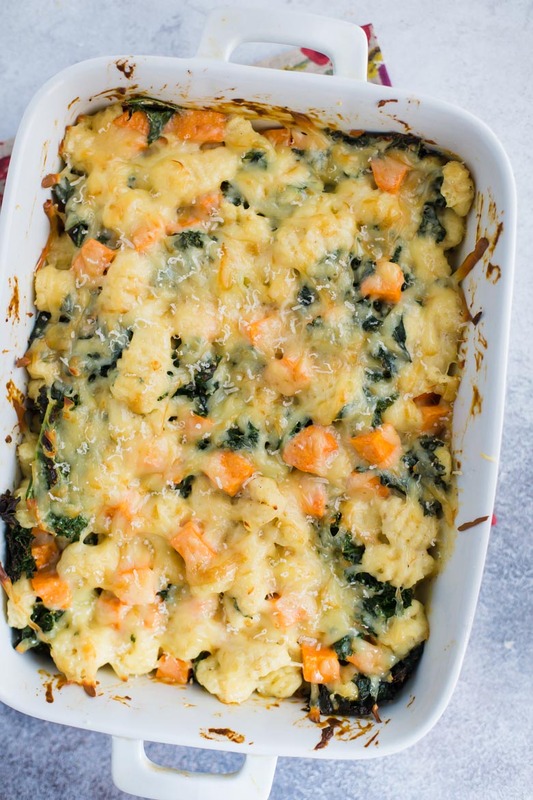 What we do know- this OMG SO DELICIOUS Baked Gnocchi Casserole is definitely on the menu! With the help of Three Bridges, this meal comes together in no time! If you’ve been around here for a while then you know that I’m a big fan of gnocchi. I love making it fresh at home when I have the time. BUT running my own business and having a baby means that right now in my life, I rarely if ever have time for such things. SO, today we’re using Three Bridges’ Parmesan Gnocchi for this dish. 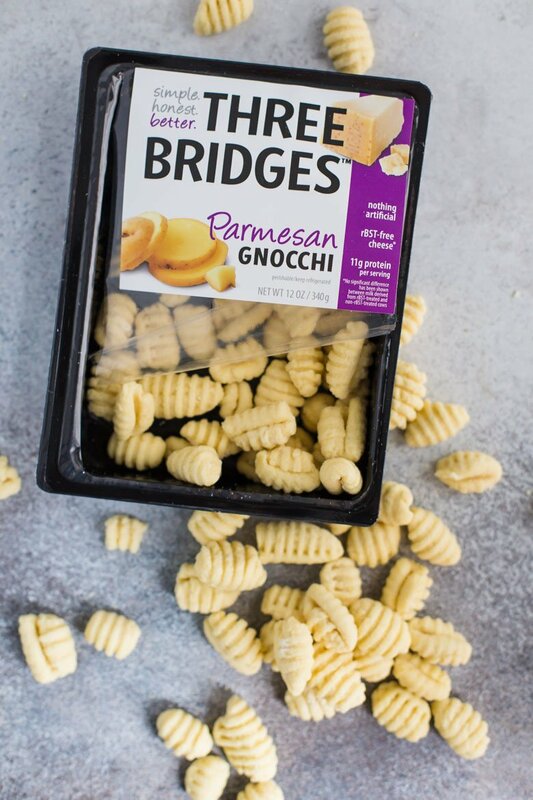 Three Bridges has a full line of easy-to-prepare pastas and sauces found in the refrigerated aisle. 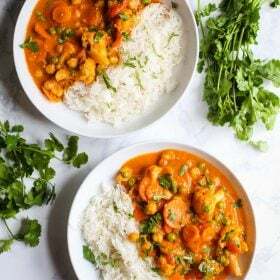 It’s my go-to for quick and easy family dinners that I also can trust to be made with fresh, simple, and honest ingredients (which is very important to me). 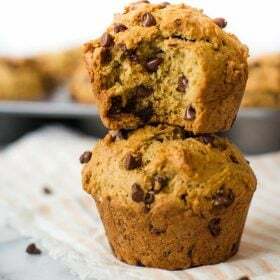 They use only premium, high-quality ingredients that contain no artificial ingredients, flavors, and colors, and no preservatives, fillers or hormones. LOVE!! 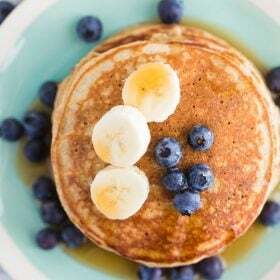 Plus- THEY’RE SO GOOD (and so incredibly easy)! 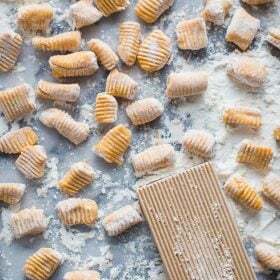 We’ve had the gnocchi and raviolis for dinner at least one night a week for the past month and it’s made meal planning so much easier. 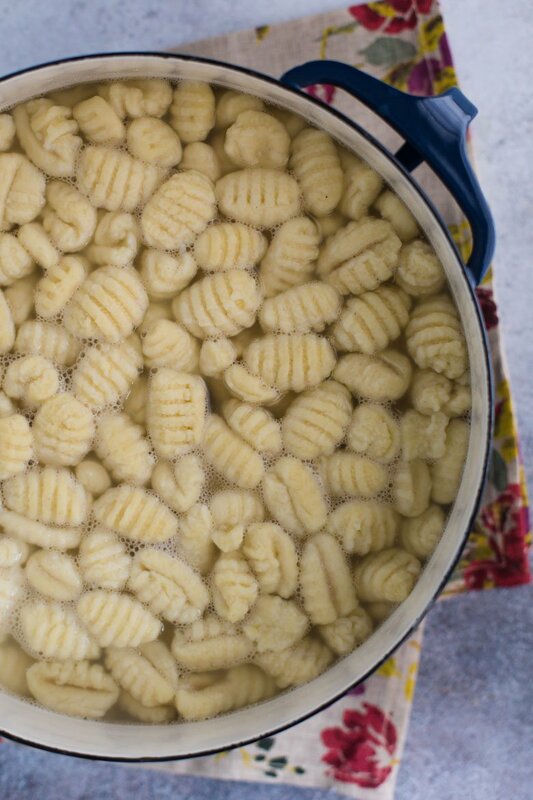 First, cook the gnocchi which only takes a few minutes. 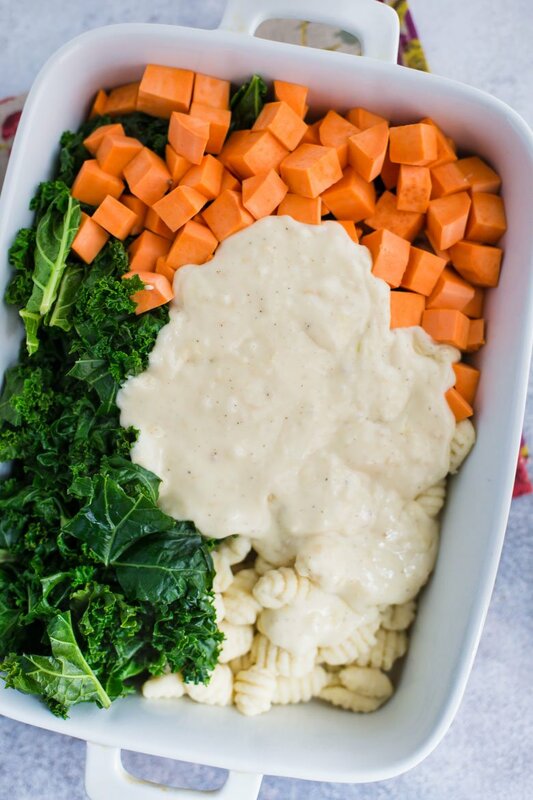 Next you’ll saute the sweet potato and kale for a few minutes and throw together a creamy cheesy sauce. 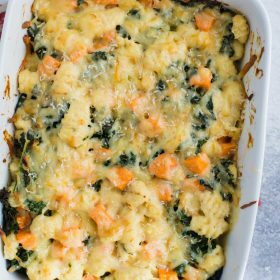 Finally you combine it all into one casserole dish and top with a bit more cheese because—-well, it’s the holidays and you should indulge a little, right? I used gruyere cheese for this because I’ve been really into lately. 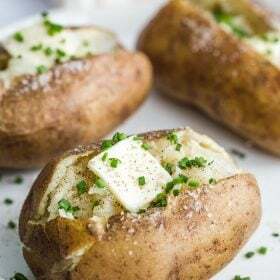 BUT, you could also use mozzarella or any other good melting cheese. And because I had a fresh block of parmesan lying around the house (which is something that every good kitchen should ALWAYS have), I added roughly 1/4 cup of that to the top as well. It’s not necessary but it is highly recommended. We typically do a roast for Christmas dinner and alternate which sides we have each year. 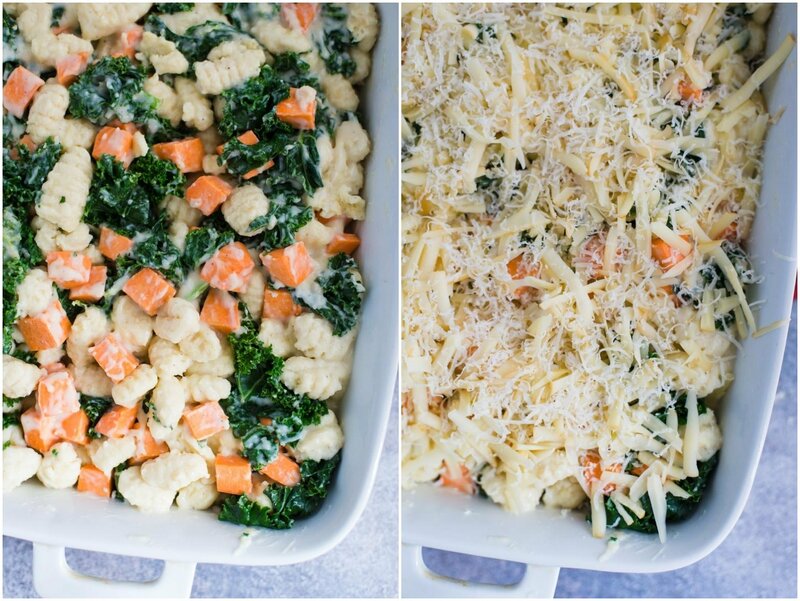 SO, next week, this Baked Gnocchi Casserole is on the menu and I’m ridiculously excited to make it again! You can find Three Bridges foods at natural food and grocery retailers nationwide including Safeway, Raley’s, Target and more. In a large pot, cook the gnocchi according to packaging instructions. In a large skillet over medium heat, add in 1/2 cup of water and bring to a simmer. 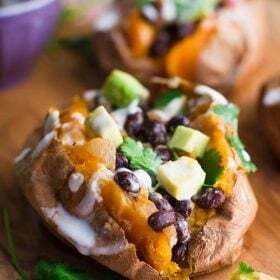 Add in the Sweet potato and cook for 5 minutes, stirring frequently and adding additional water as needed (we’re steaming the potato a bit so that it’s lightly cooked before it goes in the oven). Add in the kale. The skillet will be rather full at this point but stir carefully and within a couple minutes, the kale will wilt and make it easier to stir. Season with a bit of salt and pepper. Once kale is fully wilted, take off of heat and drain of any excess liquid. In a medium saucepan, melt the ghee/ butter. Once hot, add in garlic and cook until fragrant and lightly brown, about 2 minutes. Whisk in flour and continue to whisk until combined and mixture thickens. Next whisk in milk and continue to whisk until mixture thickens which takes a few minutes. 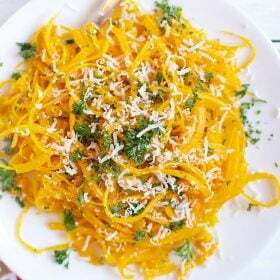 Whisk in 2/3 cup of the cheese. Season mixture with salt and pepper to taste and remove from heat. 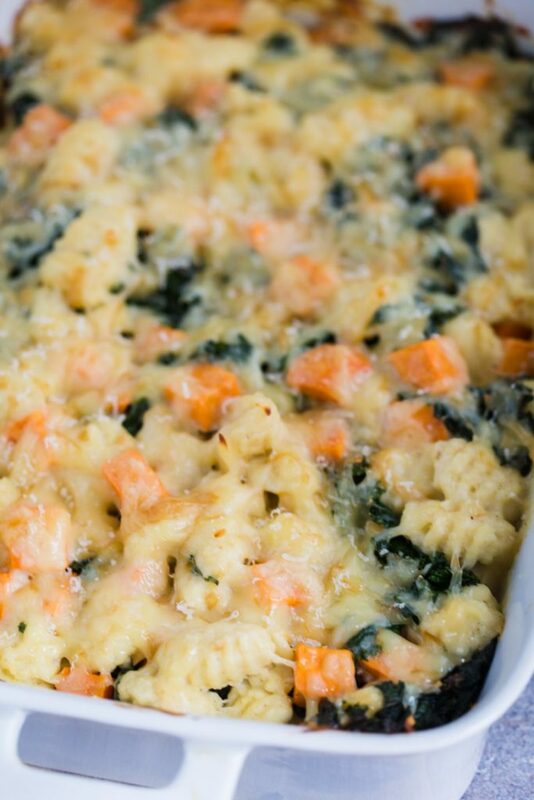 In a casserole dish, combine the gnocchi, sweet potato, kale, and sauce. Mix until fully combined. Top with the remaining gruyere cheese as well as the parmesan cheese. Bake for 25 minutes. I turned my broiler on for about 2 minutes to brown up the cheese a bit but that’s not necessary. bake at what temperature please? How many does this serve and what is the size of your casserole dish? Thank you.